Two Kindle cases in two days. Maybe reading books isn’t dead after all. The KlearKase press release even goes so far as bad mouthing yesterday’s M-Edge Guardian for being twice as expensive and thrice as heavy. 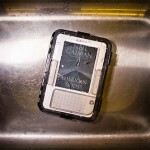 I guess the Kindle waterproof case wars have begun. 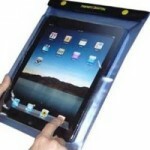 This 6-ounce polycarbonate case will cost you just $39.99 and Amazon will have them available by the end of the month. This one does look cooler than the M-Edge. What do you think? 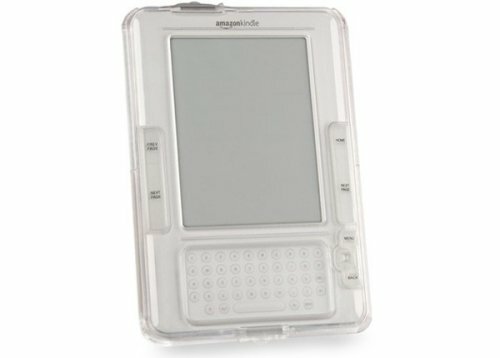 I read the fine print on their site and it says that it is not waterproof and they will not pay for any damage to your kindle. Why would I spend $40 bucks on something that will not protect it from water? I’d spend more for that aspect. I do not think this company stands behind their product. 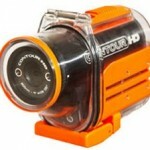 Do you call a waterproof case that cannot get wet a cooler product? Let’s be clear: it can get wet, it can take a soaking, spilled coffee, splashes, drenching. It is not designed to be submersed under water, where at some depth the pressure will overcome the seals and the product might leak. If you want to read under water, or swim with your Kindle, the Guadian is a great product, although it does weigh over aound and costs $80. You also can’t turn on the power without opening the entire case and you can’t seal the Guardian case in an airplane, as it might implode or explode due to pressure. The KlearKase weighs a third that much and costs half as much. I think for everyday use, kid’s use, reading at the table, sitting poolside, travel, on the beach, or even in the water or the tub with care taken not to submerge it, the KlearKase is indeed cooler. So the bottom line is that of course you can get it wet. Soaking wet. Totally wet. Just not submerged. Even submerged it will probably stay sealed. But that’s not what it’s designed for. It’s like the difference between waterproof watches and water resistant watches. For most people in most situations, water resistant is sufficient. if you read, why dive? I took this product on a recent seaside holiday and it is brilliant. If ever I am going got be in an environment hostile to my Kindle from now on, it will be in the Klearkase. Mainly because I do not intend to be reading under water!!!!! Highly recommend this product. I have had this product since it was released. I got it primarily because I have a tendency to drop things. It protects my Kindle from not just water, but drops, dings and scratches. Well worth it.